Something special is coming up next Tuesday for you mad scientists in Los Angeles! 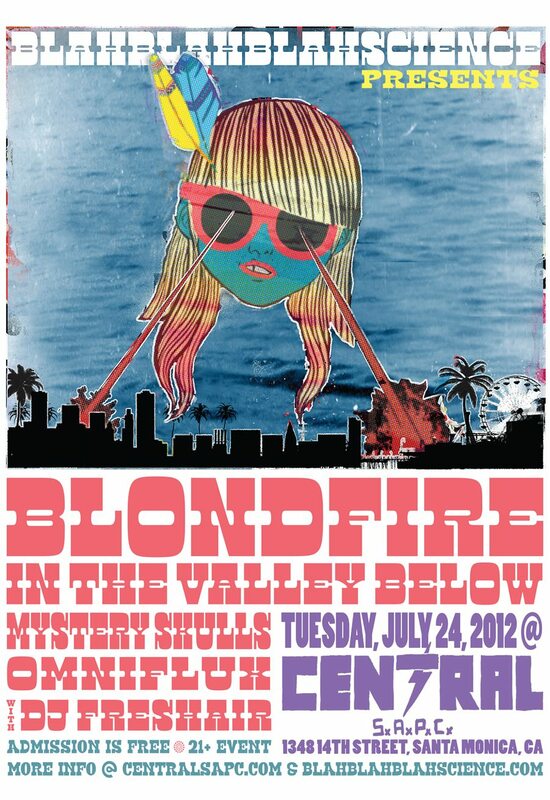 B3SCI will be presenting our first ever show on Tuesday, July 24th with a stellar bill of talent including Blondfire, In The Valley Below, Mystery Skulls, Omniflux & DJ Freshair at the Central S.A.P.C. in Santa Monica. This show will no doubt rock your blox but to make it even better it’s absolutely FREE! That’s right B3SCI is hooking you up again! So come hang out. Additional details on the show are here at Central S.A.P.C. Also, be sure to check out this new video from Mystery Skulls for “Paralyzed” below to get in the mood. See you all there!